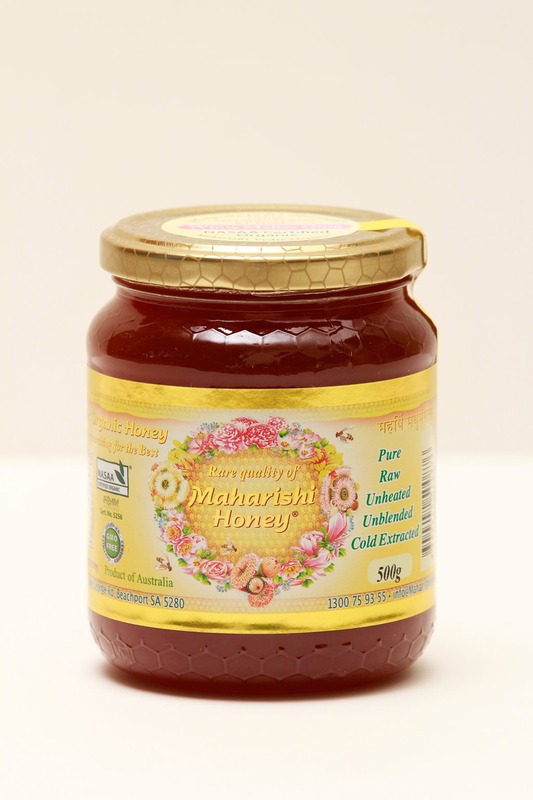 Maharishi Honey is gathered from swarms of bees humming among the blossoms in our pure, organically certified apiaries on pristine native coastal bushland of South Australia. The flavour of this beautiful honey changes with each season as the bees have access to different native blossoms. During the warmer months the honey is harvested approximately every 6 weeks.